Many of the stories collected here are pure Jansson, touching on island solitude and the dangerous pull of the artistic impulse: in “The Squirrel” the equanimity of the only inhabitant of a remote island is thrown by a visitor, in “The Summer Child” an unlovable boy is marooned along with his lively host family, in “The Cartoonist” an artist takes over a comic strip that has run for decades, and in “The Doll’s House” a man’s hobby threatens to overwhelm his life. Others explore unexpected territory: “Shopping” has a post-apocalyptic setting, “The Locomotive” centers on a railway-obsessed loner with murderous fantasies, and “The Woman Who Borrowed Memories” presents a case of disturbing transference. Unsentimental, yet always humane, Jansson’s stories complement and enlarge our understanding of a singular figure in world literature. Tove Jansson (1914–2001) was born in Helsinki into Finland’s Swedish-speaking minority. Her father was a sculptor and her mother a graphic designer and illustrator. Winters were spent in the family’s art-filled studio and summers in a fisherman’s cottage in the Pellinge archipelago, a setting that would later figure in Jansson’s writing for adults and children. Jansson loved books as a child and set out from an early age to be an artist. Her first illustration was published when she was fifteen years old; four years later a picture book appeared under a pseudonym. After attending art schools in both Stockholm and Paris, she returned to Helsinki, where in the 1940s and ’50s she won acclaim for her paintings and murals. From 1929 until 1953 Jansson drew humorous illustrations and political cartoons for the left-leaning anti-Fascist Finnish-Swedish magazine Garm, and it was there that what was to become Jansson’s most famous creation, Moomintroll, a hippopotamus-like character with a dreamy disposition, made his first appearance. Jansson went on to write about the adventures of Moomintroll, the Moomin family, and their curious friends in a long-running comic strip and in a series of books for children that have been translated throughout the world, inspiring films, several television series, an opera, and theme parks in Finland and Japan. 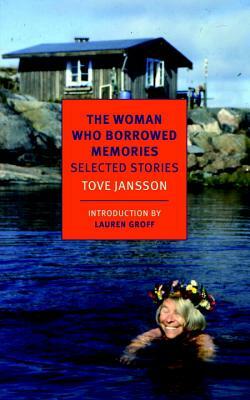 Jansson also wrote eleven novels and short-story collections for adults, including The Summer Book, The True Deceiver, Fair Play, and The Woman Who Borrowed Memories (available as NYRB Classics). In 1994 she was awarded the Prize of the Swedish Academy. Jansson and her companion, the artist Tuulikki Pietilä, continued to live part time in a cottage on the remote outer edge of Pellinge until 1991. Thomas Teal has translated many of Tove Jansson’s works into English, beginning in the 1970s with The Summer Book and Sun City and more recently, The True Deceiver (2009, winner of the Best Translated Book Award) and Fair Play (2011, winner of the Bernard Shaw Prize for translation from the Swedish). He lives in Massachusetts. Silvester Mazzarella is a translator of Italian and Swedish literature. For many years he lived in Finland, where he taught English literature at the University of Helsinki. His most recent translation from the Swedish is Tove Jansson: Life, Art, Words by Boel Westin (2014). He now lives in Canterbury, England.